Hello there – I’ve been meaning to post this for a while, as this was a project I did late this past fall. 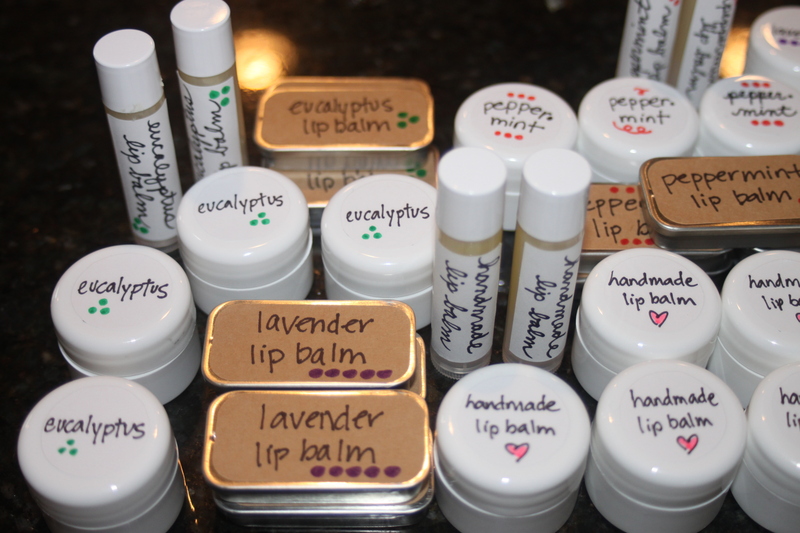 I saw an article about making homemade lip balm and had to give it a try. I was extremely pleasantly surprised at the quality of the finished product – I really like how soft it makes my lips feel! And bonus – it’s vegan too <insert Scott Lehnhoff eye roll here, haha>! The recipe is listed below if you’re adventurous and want to give it a shot. A few notes: 1) I was able to order all of the supplies on Amazon, and 2) my only advice is to make SMALL batches, i.e. don’t try to do too many at once or the wax will harden before you can get it poured into your tins/tubes/jars. It just complicates things. Just be patient and go slow.